The non-profit world is so tricky. Generally you’re working with a fairly tight budget, some of which comes from donations or grants. You’re always competing with similar non-profits for valuable commodities: people’s attention, membership, and donations. You’re doing important work and it’s so tempting to pour every last penny into supporting programs. 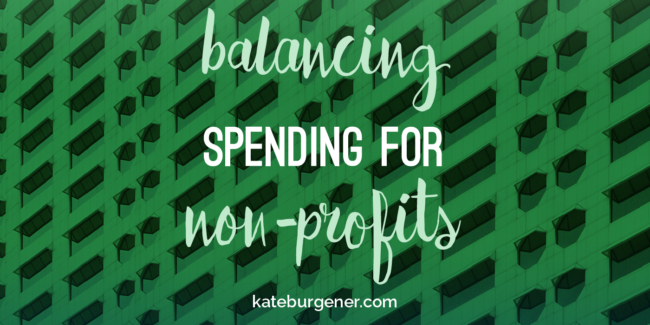 Design for non-profits is a tightrope. A non-profit who is trying to bootstrap their materials (informational brochures, program content, social media graphics, websites) may be missing out on the benefits of a more professional approach. But an organization who pours money into their materials can come off as spending too much on the peripherals and overhead and not enough on the programs people want to see supported. There is nothing wrong with being scrappy and bootstrapped. 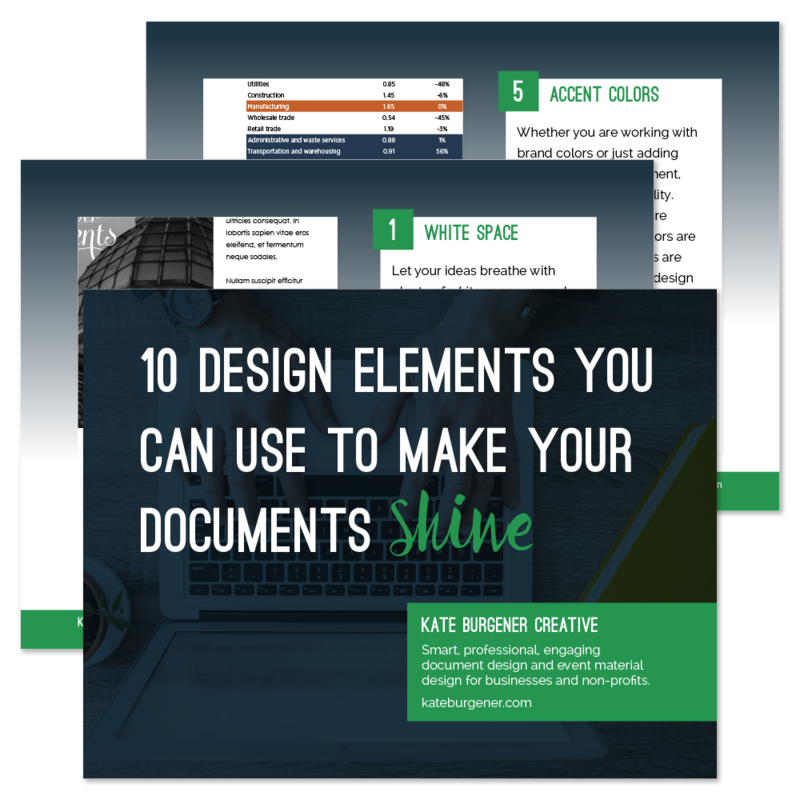 Every non-profit has to start somewhere and that somewhere usually does not include a budget for an on-staff design team making sure your materials are beautiful and cohesive. But as soon as you have the cash flow to consider bringing professional help into your organization (whether hiring a freelancer or agency for a single project, a retainer, or investing in a salaried employee), there are some compelling reasons why you should act. A few years ago, my husband donated a modest sum to a major medical foundation. (Let’s not put anyone on blast here.) It wasn’t a lot, between $25-50, just a sum that had come to us that he wanted to pass on to the foundation. I think he noted it somewhere for taxes (back when itemizing deductions was useful) and we moved on with our lives. About 6 weeks later, we got a large envelope in the mail addressed to him. The postage was not cheap, and the envelope was stuffed with swag from the medical foundation. A tote bag, pens, a frisbee, a pile of program materials, temporary tattoos (my kid did get a kick out of those), and more. My husband and I stared agog at the pile. Even with economies of scale for promotional items (I’ve ordered a branded tote bag or 1200 in my time), it was clear between the postage, the contents and the staff member that had been paid to assemble and mail it, at least 70% of his donation had gone to this kit “thanking” him for his generosity. We’d much rather the money have been used directly to support the research and support programming that we admired about the medical foundation. They do important work, but their response to a modest donation made us think they perhaps were not using their budget very responsibly. This thank you packet, probably intended to spur future donations, actually made us less likely to want to donate again. What non-profits need to understand is that in general, when people are writing a check or popping their credit card details into a form, that act alone is choosing to support the work of the organization. A thank you letter would not be amiss, put them on a mailing list to keep them apprised of additional ways to be involved (by donating more money, volunteering, being an advocate, etc). Give them a chance to engage more by inviting them to events. But the person who has already handed you a donation doesn’t need that. Growing up, my parents donated frequently to PBS and NPR and we had tote bags and umbrellas for days. My parents never donated because they were in need of an additional umbrella. They supported the mission of those organizations and were proud to make a financial commitment. So you want to look professional but not like you poured people’s donations into frivolous expenditures. Communicate about your non-profit clearly and professionally, with some polish and enough design to make it look memorable, but don’t use donations to foot the bill for unnecessary promotional items, expensive printed pieces without justification, or congratulatory items. Your big donors might enjoy being thanked and recognized, but mostly just want to see their money supporting the work that you do that changes and improves people’s lives.